A brutal attack against a union leader and his brother in Honduras is the latest in escalating violence directed at worker rights activists there, according to the Honduran National Network for Violence Against Trade Unionists and other Solidarity Center partners in the country. Moisés Sánchez, secretary general of the melon export branch of the Honduran agricultural workers’ union, Sindicato de Trabajadores de la Agroindustria y Similares (STAS), and his brother, union member Misael Sánchez, say they were attacked late last week by six men wielding machetes as they left the union office in the southern town of Choluteca, an area where agricultural workers harvest melons and other export produce. 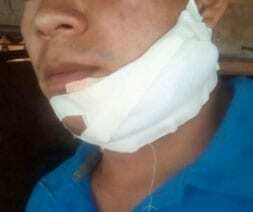 Miseal was seriously injured after the attackers slashed his face with a machete, and Moisés was beaten for nearly an hour and told he would be murdered if he continued to assist melon workers in gaining their rights at work through the union. Misael left the hospital on Monday and is expected to survive. Last year, some 20 Honduran trade union activists were killed or threatened for their efforts in helping workers improve their harsh working conditions. In recent weeks, violence or threats of violence against union activists has escalated. Isela Juárez Jiménez, president of the public employee union SITRASEMCA, says she recently suffered an attempted kidnapping. Juárez Jiménez, began receiving death threats in 2015, and her motorbike was rammed in September by a white Toyota, which had been following her for days. Two other union leaders, Nelson Núñez of the banana and agricultural worker federation, FESTAGRO, and Miguel Angel López of the public-sector electrical workers’ union STENEE, say they recently have been followed, with López reporting a man gesturing to pull out a pistol after pulling up to his car window. Both Núñez and López received death threats last year for their organizing efforts in Honduras. Núñez’s most recent threats similarly relate to the organizing efforts in Choluteca. 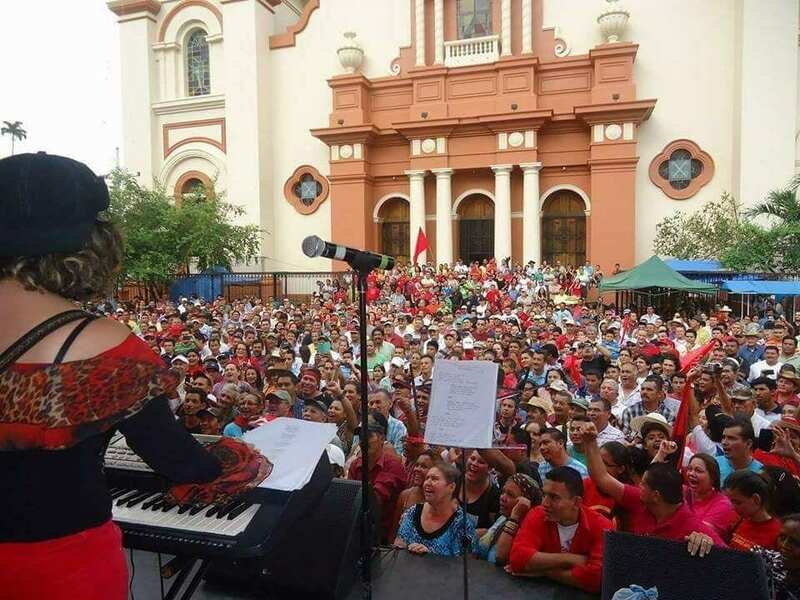 Patricia Riera, another FESTAGRO organizer, was the first organizer to receive death threats related to a melon worker union organizing effort in Choluteca. Although the Inter-American Commission on Human Rights last year ordered the Honduran government to protect targeted union members, Honduras has not done so. The Network against Violence in Honduras and its sister organization in Guatemala are calling on the Honduran government to provide private security to activists who receive death threats. The networks are urging the government to investigate all murders and bring to justice the perpetrators—both those who committed the acts and those who planned them. Melon workers on plantations across the Choluteca region have long endured worker rights abuses. After they sought to improve their working conditions by forming unions in 2016 with STAS, a FESTAGRO affiliate, employers intimidated and illegally fired many workers, despite Honduran law and international conventions making it illegal to retaliate against workers for organizing unions to protect their rights on the job. According to FESTARGO, plantation owners forced the first four union leaders to renounce the union, fired 21 union members during the spring 2016 planting season, and refused to rehire 35 unionized workers for the fall harvest. And after 47 security workers at one plantation joined the union in March, the company fired all of them. Despite touted progress toward fulfilling the Monitoring and Action Plan developed with the U.S. government to address labor rights violations, retaliation against workers seeking unions and sustained anti-union attacks and violence persist. The Monitoring and Action Plan was created after the AFL-CIO and 26 Honduran unions in 2012 filed a submission with the U.S. Department of Labor on the Honduran government’s failure to enforce its labor laws under the labor chapter of the Central American Free Trade Agreement (DR-CAFTA). The submission cited examples from 17 worksites spanning the manufacturing, agriculture and port sectors. In a 2015 Public Report on the 2012 DR-CAFTA labor chapter complaint, the U.S. Office of Trade and Labor Affairs found ongoing basic labor rights violations at these same export plantations, including nonpayment of minimum wages and legally mandated benefits, wage theft, child labor and allowing children to use hazardous chemicals, and failure to provide potable water, social security enrollment and days to rest.